Messaging around the idea has swayed opinions. A new poll from demonstrates that Americans are far less likely to buy into “travel ban” policy if the word “Trump” appears anywhere on it. The travel ban on visitors from predominantly Muslim countries, when stripped of any mention of President Donald Trump, actually polls very well among American citizens. But, as soon as Trump is re-introduced into survey questions, support for his ideas dives off a cliff. In January, shortly after taking office, Trump attempted to enforce an executive order limiting access to the United States to travelers from six countries in the Middle East: Iran, Iraq, Sudan, Somalia, Yemen, Syria, and Libya. For months, polling has painted a picture of a severely divided population regarding the ban. Trump posted results from polls demonstrating majority support for his initiative, but polls conducted by CBS, CNN, and Gallup showed a majority of those surveyed were against the ban. Now, a Politico opinion poll released on Wednesday shows with convincing results that a majority of Americans have decided the travel ban is a good idea. So what does the new poll say? In its survey, Politico asked if “new guidelines which say visa applicants from six predominately Muslim countries must prove a close family relationship with a U.S. resident in order to enter the country” and 60 percent of respondents said they were on board. It’s perhaps notable that the poll does not mention Trump or the “travel ban” phrase anywhere; when polls do include either of those terms, a majority tends to oppose it. That means a majority of Americans are in support of banning visitors from predominantly Muslim countries, but most of those people still don’t like Trump. They voted for an exact replica of the Travel Ban 2.0 without that title or Trump’s name on it, despite voting against the same freakin’ thing in another question. So what’s new with Travel Ban 2.0? On Campaign, @realDonaldTrump called for "total and complete shutdown of Muslims entering the United States.” Now, says "what Muslim Ban?" Due to the first ban’s controversial stoppage of U.S. citizens in transit, the Travel Ban 2.0 exempts legal permanent residents and those who already have a valid visa to come to the U.S. Syrian refugees are no longer banned as a whole, though they were in the first executive order; the human angle, specifically regarding how many Syrian refugees are women and children, backfired on the Trump administration. Who do the changes protect? The Trump administration has also added the possibility of obtaining a waiver allowing access to the United States, which will be implemented on a case-by-case basis. This, The Hill speculates, exists so the administration can avoid the bad optics it ran into during the first ban attempt, which was overturned in the courts. The court of public opinion saw cases like that of four-month-old Iranian Fatemeh Reshad, denied entry to the United States under Trump’s first ban while he was en route to an American hospital for lifesaving heart surgery. Reshad made it to Oregon in time, but news of his family’s initial struggle inspired Americans to protest the travel ban with great fervor. Banning some of the world’s most brightest minds from the United States was also a point of contention during the first travel ban, which blocked many scientists and researchers. 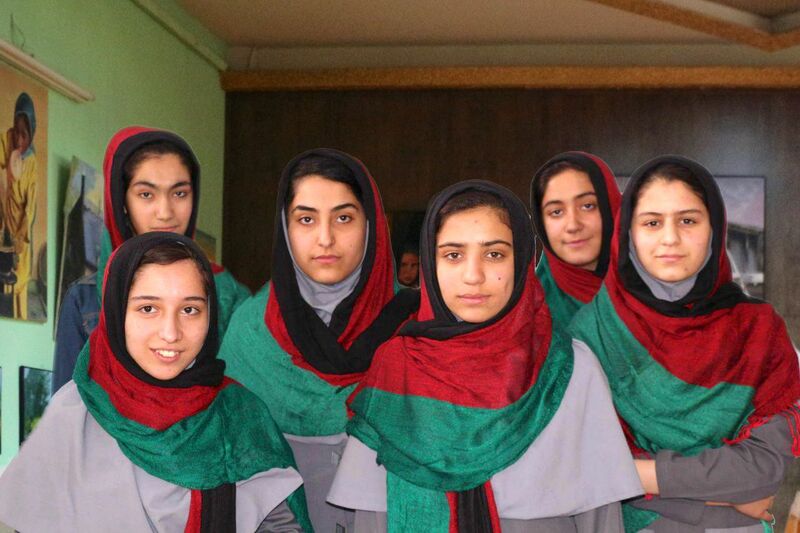 Another human story that took off online was the case of Afghanistan’s all-girl robotics team, who were denied Visas when they tried to travel to the United States in order to compete in the FIRST Global Challenge in Washington, D.C. The team from Gambia, another predominantly Muslim country, was also denied entry, though both teams competed via Skype against teams of teenagers from Iraq, Iran, and Sudan — those three nations saw their teams allowed in into the U.S.
Last week, the chopped-up and re-served version of the travel ban went into effect, a development that was celebrated as a win for the Trump administration. Though Trump himself celebrated a “unanimous win” in the Supreme Court on the travel ban, he neglected to mention that the high court carved in a few additional changes to the order, including a definition of what makes a “bona fide” connection to an American citizen. Those changes, controversially, mean that citizens of the specified nations can only visit the United States in order to see their spouses, fiancés, parents, parents-in-law, children, adult sons or daughters, siblings, step- or half-siblings, or sons- and daughters-in-law. They cannot visit cousins, grandparents, grandchildren, aunts, uncles, nieces, nephews, and brothers- and sisters-in-law. Grandparents, specifically, being barred from the United States ignited a sad response on Twitter from American grand-children. They posted photos of their now-banned loved ones using the hashtags #GrandparentsNotTerrorists and #NoMuslimBan. It seems, overall, that putting a human face on legislation like the travel ban is the most compelling way to convince Americans to feel empathy for those hurt by the law. In the president’s case, however, he would benefit from keeping his own brand far away from the initiatives he wants to put in place; Trump’s presence now repels people who actually agree with him, and Americans find it easier to throw foreign visitors and immigrants under the proverbial bus if they can ignore that doing so makes them Trump supporters.